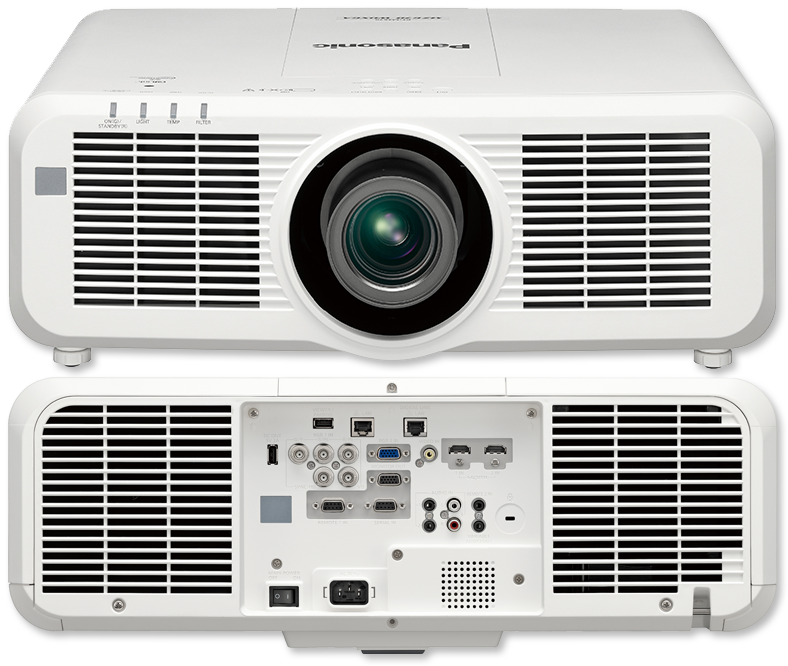 The PT-MZ770 Series features newly released 8,000-lumen high-brightness projector models that enable clear and vivid large-screen projection in bright environments. 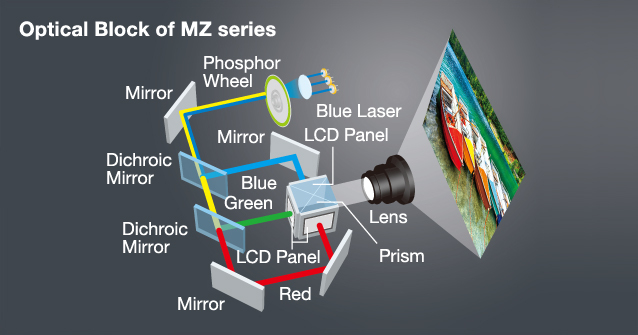 The MZ770 Series combines Panasonic’s time-proven LCD with industry-leading SOLID SHINE Laser light-source technology to achieve consistent high-quality pictures and extremely stable performance. Flexible installation in corporate or educational facilities is complemented by an efficient Eco Filter, which helps to extend maintenance to about 20,000 hours*1. SOLID SHINE Laser phosphor drive with advanced 3LCD optical engine projects bright, vivid, and detailed pictures even in rooms with high levels of artificial light. Text is reproduced clearly and legibly, while graphics and video retain excellent color saturation and high contrast. Precision laser power output modulation achieves high contrast with low power consumption, enabling superior expression of light and dark scenes for a natural, comfortable viewing experience. The PT-MZ670 Series features high 3,000,000:1* dynamic contrast. * With image mode set to “Dynamic” and Dynamic Contrast set to 1 or 2. 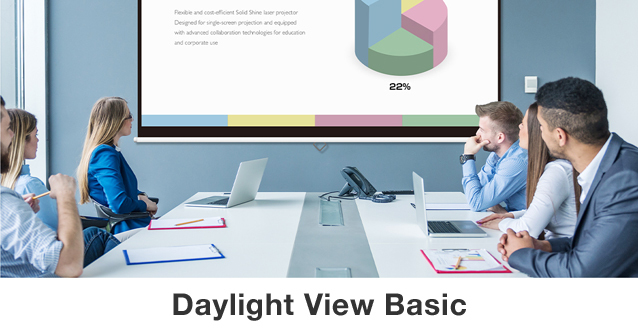 Daylight View Basic delivers clear and sharp images by enhancing detail, particularly in dark areas of the image, that are difficult to see in brightly lit rooms. A sensor measures ambient light while Daylight View Basic adjusts halftone color and brightness to suit surrounding illumination. Proprietary circuitry analyzes individual video frames to clarify areas of each image containing fine details. Algorithms pull information from four frequency bands of the signal, sharpening outlines, correcting contours, and reducing ringing noise for a vastly superior picture. 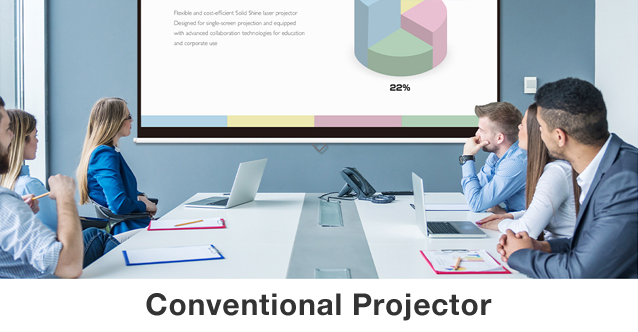 Color Adjustment makes it easy to correct slight variations in the color reproduction range of individual units set up for multiple projection, particularly those in side-by-side configuration. Correction is performed on 3 or 7 colors. Laser light-source lifespan is extended to 20,000 hours*, cutting running costs, labor, and wastage in comparison to lamp-based projectors. By reducing use of consumable parts, organizations can also streamline spare-part inventories. * Around this time, original light source brightness will have decreased by approximately 50 %. IEC62087: 2008 Broadcast contents, Dynamic contrast , Under conditions of 0.15 mg/m3 of particulate matter. Estimated maintenance time varies depending on environment. Eco Filter includes a Micro Cut Filter that collects minute dust particles with an electrostatic effect. Together with dust-resistant projector cabinet, Eco Filter enables long-term use in dusty conditions with less downtime. Replacement is at about 20,000 hours*1, and the filter can be washed and reused*2. *1 Under conditions of 0.15 mg/m3 of particulate matter. Estimated maintenance time varies depending on environment. *2 Please follow the procedures listed in the operating instructions when washing filter with water. Replacement is recommended after filter has been washed and reused twice, or if filter is not sufficiently clean after washing. Based on HDBaseT™ technology, DIGITAL LINK supports transmission of Full HD video, audio*1, and control commands through a single CAT 5e or higher STP cable for distances of 150 m*2 (492 ft). An optional DIGITAL LINK Switcher or Digital Interface Box further streamlines installation in large venues. *1 Audio transmission depends on model’s audio capability. *2 150 m (492 ft) transmission available with ET-YFB200G DIGITAL LINK Switcher for signals up to 1080p in Long Reach Mode only. *1 Adjustment range may vary depending on lens attached. *2 Not supported with PT-MZ770/MZ770L/MW730//MW730L. 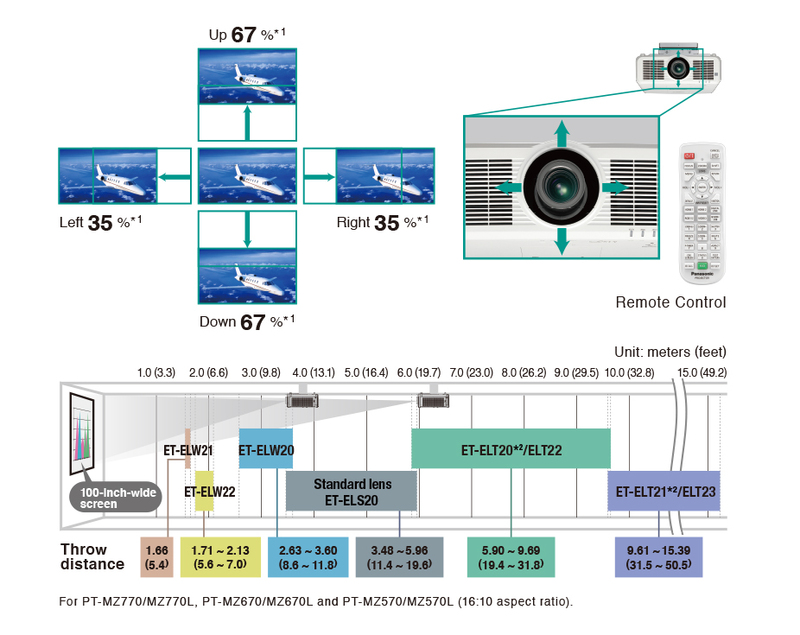 The PT-MZ770/L supports uncompressed 4K signal input via HDMI® or DIGITAL LINK. Images are converted to Full HD (1920 x 1080) upon projection. 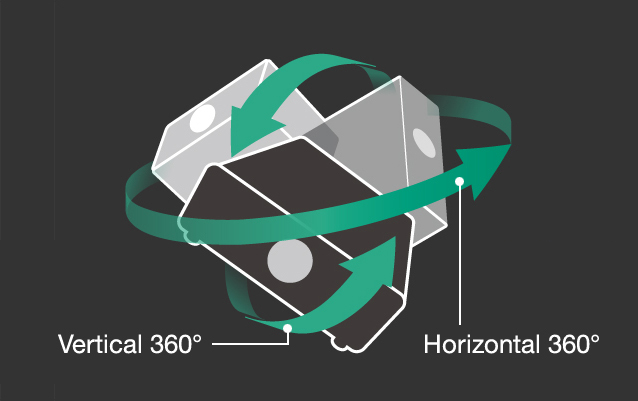 Images are automatically* rotated depending on projector orientation— upside-down on the ceiling or set on a table—using a built-in angle sensor. * Manual setting also available via setup menu. The quiet design keeps noise levels down to a low 26 dB* in Quiet Mode with the cooling fan hardly audible, minimizing distractions during presentations. * Value for PT-MZ670 Series. Value for PT-MZ770 Series is 28 dB (Quiet Mode). When in Quiet Mode, brightness decreases to 70% of maximum. Insert a USB memory device into the projector’s USB terminal. In less than a minute, configuration setting files and an application are copied. Plug the USB memory device into your PC, click the player icon, and transmit video and stills wirelessly to the projector—no software or network setup required.Click here to download software. * Software functionality varies depending on the model.